KineMaster paired with Switcher Studio makes mobile video production the easiest it has ever been. No longer do you have to bring your video files off of your phone. All shooting and editing can be done within the Switcher Studio and KineMaster apps. To start, download both the Switcher Studio and KineMaster apps from the App Store. Launch Switcher Studio on your main Switcher device Login with your Switcher Studio account details, or create an account if you do not have one yet. 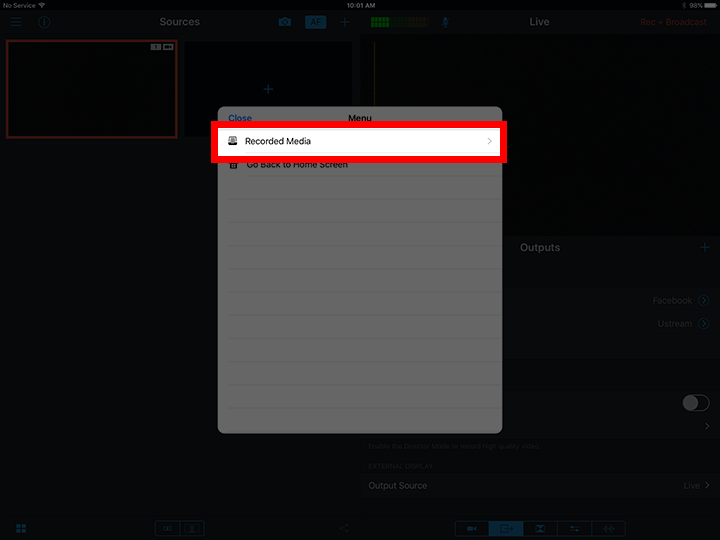 Enable director mode inside of Switcher Studio. For help with this step, check out our tutorials on Director Mode here. Connect your devices and assets as you would normally and record/ stream your video. Once your production has ended, navigate to the journal file associated with Director Mode. Tap on the journal file and the angles will all be collected to your main device. Once the composition has completed, you are ready to send your file to KineMaster. First double check that KineMaster is NOT running. To do this, double tap the home screen and swipe up on KineMaster if you see it in your list. 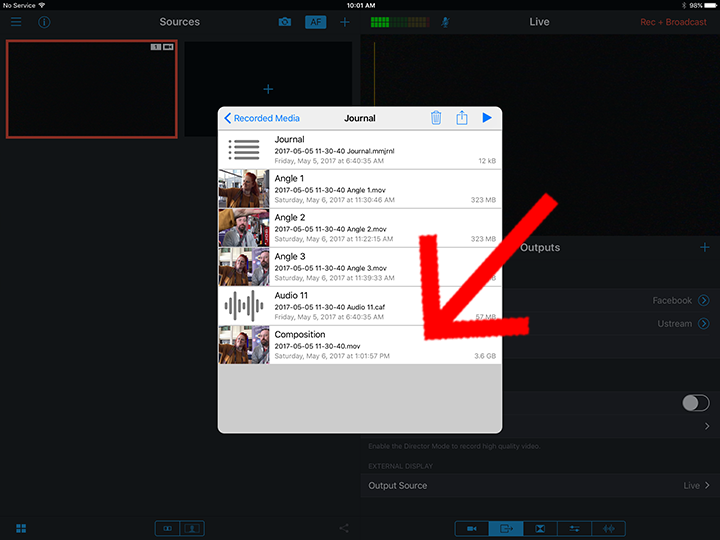 Next tap the export options in the upper middle of Switcher Studio. You will get a notification saying Switcher would like to open KineMaster. Choose Open. 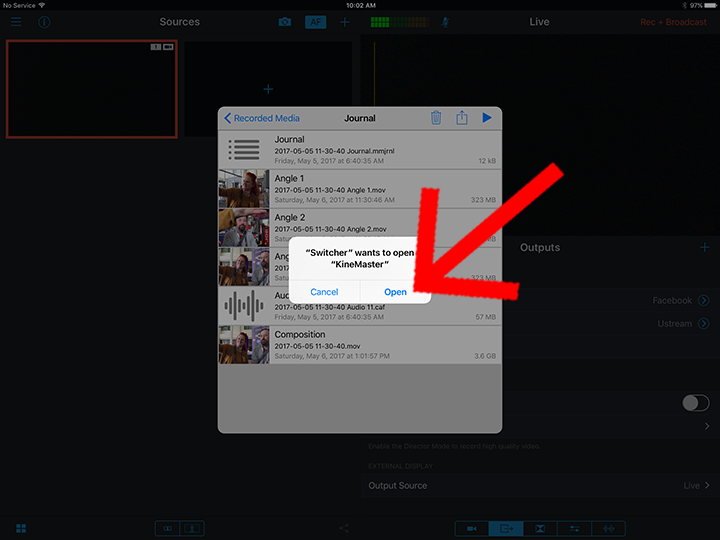 After tapping open, a dialogue will appear asking to save the files in the camera roll. Make sure you allow this. 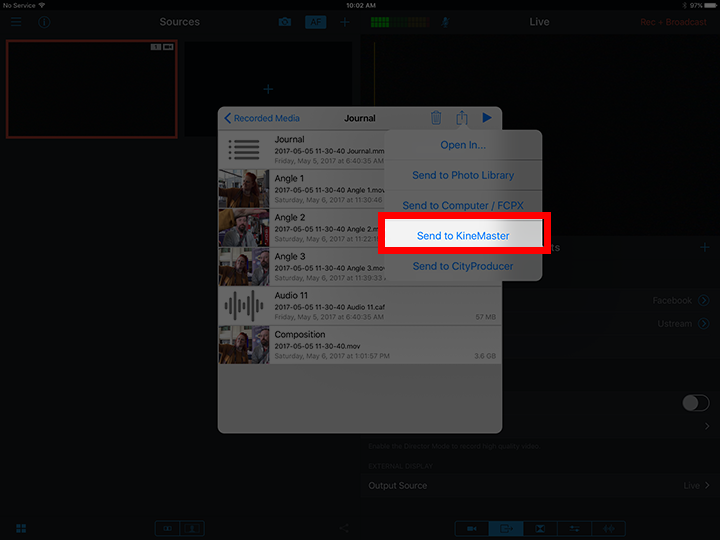 You can delete the files in Switcher if you don't need them there anymore. 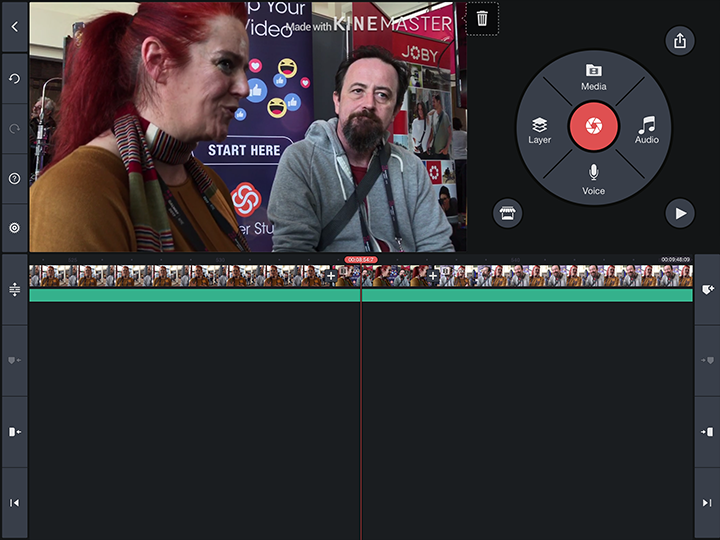 KineMaster will now open with the video and all angles shot in Switcher Studio. 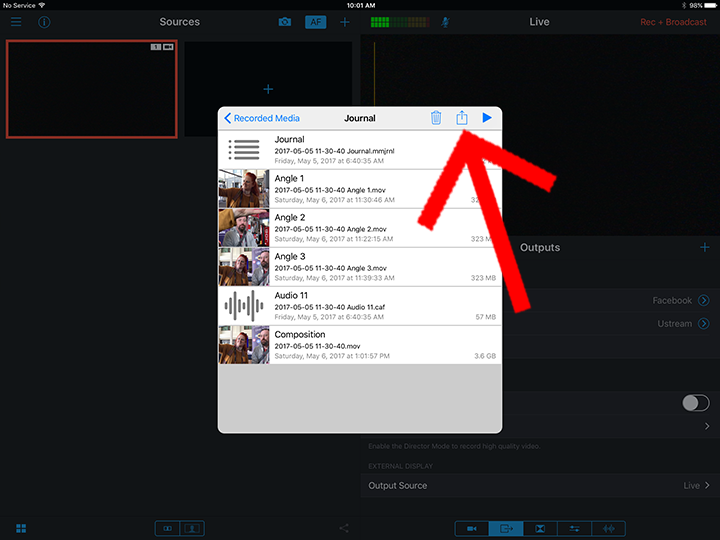 You can now refine your edits in KineMaster creating very dynamic video without ever leaving your iOS devices! 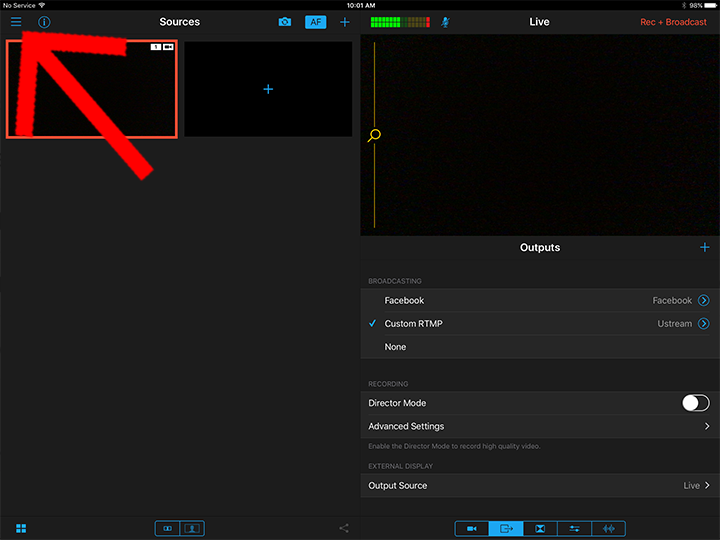 *Note that the integration between Switcher Studio and KineMaster works for live camera angles. Graphics and pre recorded video elements will not be transferred over. This is something we will work to implement soon.